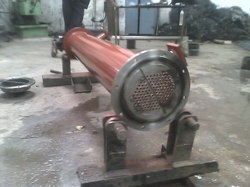 Pioneers in the industry, we offer tube & shell heat exchangers and carbon steel heat exchanger from India. Ever since our establishment in the year 2009, we have been gaining prominence among renowned manufacturers, suppliers and traders of a vast range of Shell & Tube type Heat Exchanger. The heat exchangers we offer are engineered to perfection under the guidance of dexterous engineers. Made in accordance with the international quality standards, these products suit demands of varied industrial applications. 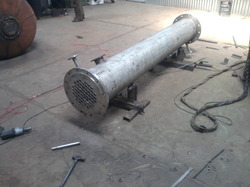 Commenced in the year 2009, we are counted among celebrated manufacturers, suppliers and traders of a broad series of carbon steel heat exchanger. These exchangers are designed and manufactured in exact compliance with the international industry guidelines, using premium grade alloys, metals and allied materials. To attain utmost contentment of the customers, we offer these products at industry leading prices.